W. W. Norton & Company, 9780393317121, 533pp. 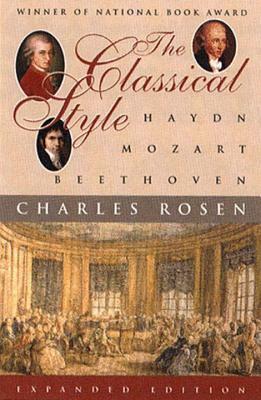 This outstanding book treating the three most beloved composers of the Vienna School is basic to any study of Classical-era music. Drawing on his rich experience and intimate familiarity with the works of these giants, Charles Rosen presents his keen insights in clear and persuasive language. For this expanded edition, now available in paperback for the first time, Rosen has provided a new, 64-page chapter on the later years of Beethoven and the musical conventions he inherited from Haydn and Mozart. The author has also written an extensive new preface in which he responds to other writers who have commented on his ideas.